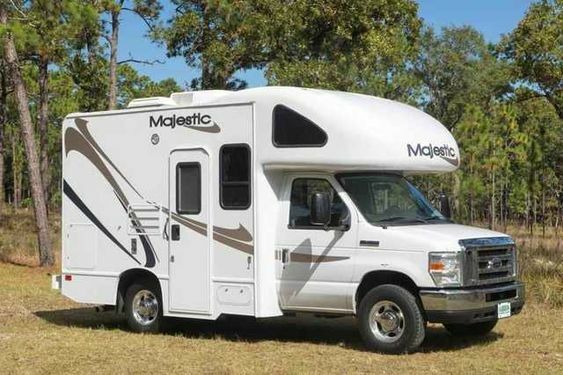 Did you know that RVs mostly get into accidents trying to reverse? RVs are not cars, so reversing a massive vehicle like this requires special attention. Most drivers cannot properly see behind when reversing a large RV. That’s why it’s highly recommended to install an RV rear view camera system before you go on your trip. These camera systems include a camera mounted somewhere at the back of the RV. The driver gets footage through a screen on the dashboard, mounted on the dashboard, or is installed into the rearview mirror. Modern rearview camera systems pack amazing features such as parking guidelines on the screen. Most also work great under low light conditions as well. Plus, most camera systems don’t cost too much either. Therefore, there’s really no reason to not install a backup camera on your RV. No one wants to think about their RV catching flames. But it’s an instance you have to prepare for. If you cook inside or near your RV, then a risk of a fire is high. Therefore, don’t forget to pack fire extinguishers and flame-retardants. Polypropylene sheets that can slow down rapidly burning fires are also recommended to add to your safety kit. Keep in mind that the vehicle that tows an RV trailer plus load have very specific weight capacities for pulling. This is called the total weight, or GVWR. It’s important not to exceed the specified GVWR or you could be putting your rig at serious risk. It’s may even be illegal to tow an RV trailer that exceeds weight capacity. Most insurance plans do not cover accidents under these conditions. When on the road, it’s very important to always have a means of communicating with the outside world in case of a serious emergency. But phones run out of battery power surprisingly soon. Therefore, always pack power banks and backup batteries for use exclusively in emergency situations. It’s strongly recommended to install a GPS system in your RV, even if you are a great driver who can remember roads pretty well. A GPS tracking system can help you in case you ever stumble into an unfamiliar area. RVs do tend to have old GPS systems, so it’s recommended to upgrade the existing system to a modern one with new features. To ensure passenger safety, always park your RV where other RVs are parked.